September is peak harvest for honey in many apiaries, and in my continuing quest for Autumn flavors that aren’t pumpkin, my mind now bears upon this ingredient. The recipe is for a simple saison, similar to my Saison du Pom, but instead of pomegranate molasses as an adjunct, I’ll be using honey. Also, to keep the beer from drying out too far and to boost the honey flavor, I’ve also added some honey malt to the grist. It seems like I’ve finally managed to get a handle on my system. I collected too much wort and had to extend my boil as a result, but I still hit my projected OG was 1.043-1.044 (with the honey addition it will come up to 1.05). One persistent problem I have is hitting my mash temperature. This time my calculated strike temp was 167 F for a 156 F mash, while my actual strike temp was about 169 F for a 149 F mash. Fortunately with this strain of yeast, I don’t think the fermentability of the wort matters much, as this yeast seems to eat sugars long and short. I pitched about a cup and a half of refrigerated yeast slurry from the Saison du Pom into 70 F wort, which I subsequently cooled in a water bath to around 68 F. I observed airlock activity about 18 hours later, and plan to let the temp start to free rise after about two days from the first observed activity. For the honey addition I’ll simply warm up the honey to about 80-90 F in a water bath and then add it to the fermenter. Similar to when I used the pomegranate molasses, I will additionally use honey to prime the beer going into the bottles. So far the fermentation smells healthy and very similar to how the Saison du Pom smelled, so I am feeling confident that this brew will go smoothly. UPDATE (10/19/2013): Fermentation has been still for quite a few days at this point. The final gravity appears to be 1.003, yielding an ABV of 5.9%. Nonetheless the beer has good body, and a slight honey-like aroma and flavor. I’m still planning to prime with honey to put things over the top, but already I think this would be delicious if carbonated and chilled. 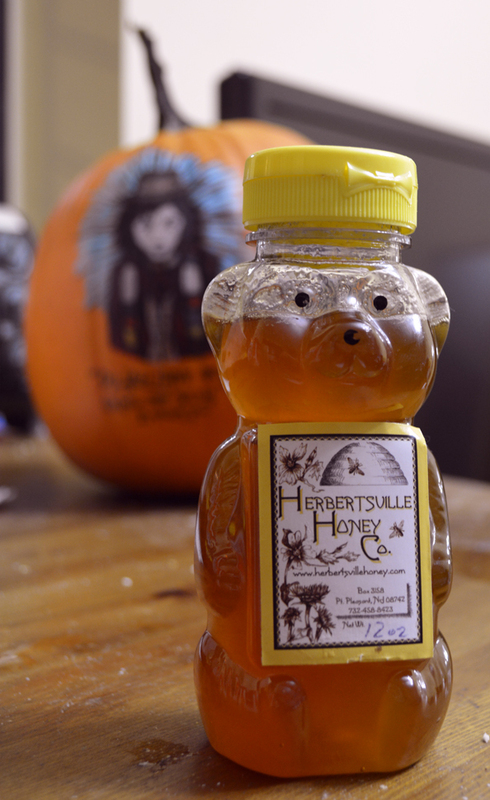 This entry was posted in beer, brew day, recipes and tagged honey, saison on October 6, 2013 by Dylan Bargteil.